Celebrating the release of our album ¡VIVA! 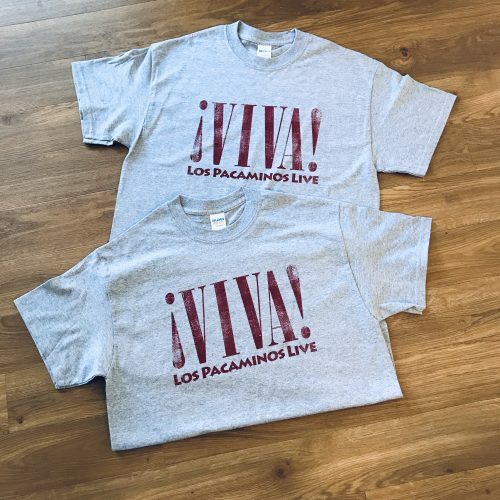 Los Pacaminos Live – these ¡VIVA! 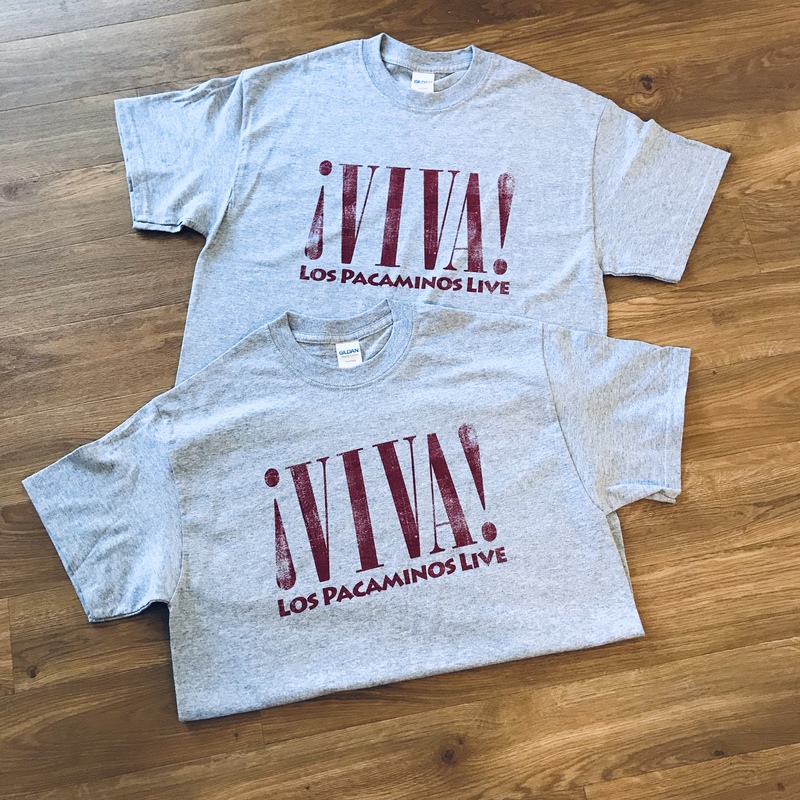 T-shirts will be on sale at gigs and on-line.